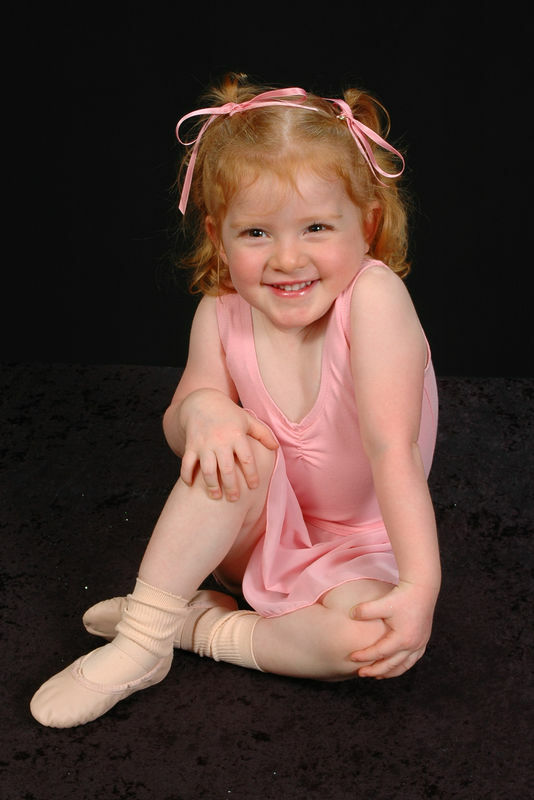 TINY DANCERS created especially for your little prince or princess, introducing imaginative dance movement with a ballet and jazz influenced foundation for little ones between the ages of 18 months up to 5 years. Parents are welcomed into the dance studio and encouraged to participate with the children. Join the fun as they learn to leap, run, twirl, and prance on their toes. Classes on Tuesday and Saturday during School Terms. These classes are a really wonderful introduction to dance and also give the students a taste of the 3 main styles with 15mins each of Ballet, Tap and Jazz. Children are introduced to a delightful, gently structured mix of experiences where, in Ballet they imagine being Mice, Pussycats, Birds and Teddy Bears as well as learning funky moves in Jazz and making loads of noise in Tap, where the art of making noise with their feet alone is enough to make all the students smile from ear to ear. Parents are able to watch classes from the waiting area through the glass partition. These classes are a fantastic introduction to dance especially created for Boys and Girls with a desire to move and groove. The main focus is to make dance enjoyable for all children, especially encouraging beginner dancers to build self esteem and confidence, improve co-ordination, muscle strength and flexibility. These ever popular classes are most importantly great fun and ideal for the younger student as a great stepping stone if they wish to study Hip Hop or Technical Dance Styles when they are a bit older. Suitable for students from 4 years of age. The term "Hip Hop dance" covers a wide range of styles from the classic street style to popping, krumping, gliding, lyrical and commercial forms of technique. Popularity of hip hop dance is linked to the very fashionable music videos and is partly inspired by funk and breaking (break dancing). An expressive, highly energetic and versatile form of dance, it is constantly evolving, mixing a variety of styles from street dancing to jazz. Movements are crisp and varied which really give the brain a great workout as steps are rarely repeated and involve complicated rhythm structures. These classes are suitable for students from 7 years of age with several classes from Beginners to Advanced levels. Jazz is an essential element of 'Musical Theatre' choreography and is a form of dance commonly used in Broadway shows, music videos and movies. Sharp movements, incredible precision and fast vigour are the basis for this exciting technique. Even though Jazz dancing might look easy and fun, dancers have to be in really good shape and are trained to build stamina and powers of endurance. The essence of Jazz dance is to bring entertainment to the people, with the dancer conveying an attitude to the audience. Including a large diversity of styles from smooth modern steps with a lyrical lightness to movements that are big and exaggerated, Jazz is the most popular dance form for amateur dancers. Classes for students from 6yrs. Absolute Beginners to Advanced Students. Tap Dancing takes its name from the small metal plates on the dancer's shoes which make a 'tapping' sound when they strike a hard floor. Lively and rhythmic tapping makes the performer not just a dancer, but also a percussive musician, as Tap dancers make frequent use of syncopation. Tap can have a funky street feel, like Tap Dogs, or have that old school charm and style, like Fred Astaire, Gene Kelly and Ann Miler. Tap combines elegance, grace, rhythm, originality and precision. It is dynamic, exhilarating and fun. A love of tap dance lasts a lifetime. Classical Ballet evokes images of romantic ballerinas, swathed in white tulle, skilfully dancing 'on pointe'. It is the universal language of music combined with graceful movement. It can be delicate, blending lightness with a lyrical beauty but can also be exciting, displaying speed and dexterity with an earthy vitality. It is the most elegant and demanding of the performing arts and the ballet class is a perfect balance of exercise, starting with basic technique at the barre leading up to centre work and culminating in spectacular turns and leaps. Ballet has the added benefits of strengthening posture and providing a strong foundation for all other forms of dance. National Character Dance is a delightful form of dance giving students an opportunity to experience styles from other countries by simply using basic folk steps. With a strong grounding in classical ballet technique, it is however more robust and rhythmical than ballet and is of great importance, giving insight into costumes, music and dance origins of ethnic communities and countries. Many of the great ballets include character dancing such as Coppelia, Swan Lake, Raymonda and Sleeping Beauty. Bright and fresh, with a touch of vigorous peasant technique, combine to create a feeling of history with folkloric culture. This class may only be taken by students already participating in Classical Ballet classes. Lovely classes covering the basics of classical ballet technique for Beginners through to more demanding and challenging exercises in the higher levels. Ballet is a wonderful way to improve fitness, muscle tone, strength and stamina whilst allowing you to enter a world of beautiful music, grace and sheer joy of dance. If you always dreamt of trying ballet but thought you were too old or it was too late, or perhaps wanted to return to a childhood activity then these classes are the perfect choice. The classes are friendly, non-competitive, but most importantly great fun. It is never too late or impossible for anyone to learn to dance. Tap Dancing is one of the most enjoyable and exciting forms to learn, as it conveys simplicity and lightheartedness. Our Beginners Class covers all the basic technique required to learn this really fun and lively form of dance. We get you up and tapping straight away, putting together some funky rhythm combinations and patterns that are sure to bring a smile to your face. Our Level 2 Adult classes will really give you a great workout. If you have never danced before or are a talented ‘hoofer’ from way back, we have classes to suit your level and will have you smiling, laughing and making new friends while improving your fitness. Just get out there and dance! Fun classes that start with gentle stretching and strengthening exercises combining Pilates and Yoga that are designed to improve suppleness and tone muscles without strain or injury. Classes then move onto fundamental Jazz steps and dance combinations, finishing with building a routine week by week. All exercises are demonstrated in a step-by-step process and are safe for a range of body types and fitness levels. We have classes suitable for beginners through to adults with advanced dance experience. These are fantastic classes and push students to tackle leaps, kicks, turns, falls and unconventional movements. It can be described as a combination of Jazz and Classical Ballet technique and students must also attend Ballet classes to ensure they have the correct fundamental training required. Contemporary Dance is an explosive art form and a dynamic force that is both exciting and rewarding, where movements seem to well up from within the dancer and spill over, sharing the experience with those watching. Based upon the concept of fall and recovery where gravity pulls the body down into a fall, and the body's own efforts against gravity make it recover. Contemporary Dance is largely influenced by classical ballet technique, but produces more lyrical and flowing lines with seamless movement. Classes for students from 7yrs. This class may only be taken by students already participating in Classical Ballet classes. A well rounded experience for students, will include Singing, Dance & Drama. Learning Song & Dance routines and excerpts from Musical Theatre Broadway Shows where music and lyrics form part of the storyline and character roles. All dancers aspiring to pull off amazing ‘tricks’ that are becoming integrated into choreography more and more commonly, need to learn the basics of correct acrobatic skills so they can be included in exciting, breathtaking routines. Students in Level 1 will be introduced to flexibility and core strengthening plus some basic acrobatics training such as rolls, jumps, flips and tumbling on padded mats. Students in Level 2 and Level 3 will be working towards building more core strength, flexibility, jumps and rolls, plus pushing through to the next stage of floor work including handstands, cartwheels, aerials, bridges, flips and tumbling etc etc. Students will build self-discipline, advance their technical skills, create memories and make friends that they will keep their whole lives. They will learn to lead and to be led. They will learn how to win and how to lose gracefully. They will learn to have fun, even when it is hard. An investment in ‘dance’ is about building a child who is confident, strong and physically fit, and teach them a solid work ethic. Dance will help to mould a child who sticks up for their friends and speak confidently to grown-ups, and they will learn all of this in a safe, nurturing, loving, caring and fun environment. Private lessons for eisteddfod and competition work are highly sought after and very limited so if you feel your child would love the opportunity to perform on stage and let their talent shine, speak to Miss Jodie to discuss a possible a position. Students will have the opportunity to learn solo routines that have been choreographed to reflect the their personality and highlight their ability while assisting them to develop their own unique talent to become all that they can be. Routines are choreographed in many different styles such as Classical Ballet, Classical Demi-Character (Story/Theme Ballet), Tap, Jazz, Hip Hop, Song & Dance, Lyrical, Contemporary, Broadway Jazz, National Character and even Baby Dances (5yrs and under). These classes are essential for students wishing to increase their flexibility and improve their core strength. They will learn how to control and centre the body, improve precision of movement and the flow of motion as well as correct breathing and relaxation techniques. Stretching and strengthening trains the body to support and adjust a technical correction without strain or injury. Students will gain muscle strength and flexibility while improving their endurance, building stronger, healthy bodies. Every year Dance Magic Academy selects a very limited number of students who demonstrate sound technique, great potential, positive attitude, dedication in classes and a strong attendance record to be an integral part of our hand-picked group of dancers to represent DMA at local Eisteddfods (dance competitions), Public Events, Concerts and Community Performances. As students will learn a large variety of different dance styles, it is essential they attend a minimum of Two Exam Syllabus classes in ADA Ballet, Tap and/or Jazz plus compulsory Stretch & Strengthen. Even though these are the minimum class requirements for Performance Group Students, the more classes they attend and different styles of dance they learn, the better they will become. Becoming a member of our Performance Group requires an understanding from Parents that they are committed to attending Rehearsals and Performances as required. Students chosen to be a member of the DMA Dancers, have a wonderful opportunity to gain performance experience which is vital for any young dancer. Students build self-confidence, learn discipline and enhance their artistic development, all while developing a strong sense of teamwork and friendship. Students are helped to achieve their personal best, but most importantly are embraced into our DMA Family for a terrifically fun journey together into the performing arts world.